The Willow Gallery will be launching a New Year of exhibitions, events, workshops and courses with an exciting and inspiring exhibition – Earth Flight, opening on the 18th of January. This exhibition is open to entries in all media and styles from contemporary and innovative to more traditional interpretations of the title. Please find full exhibition details below and attached along with, entry form and artists disclaimer. Please contact the gallery if you require any further information. We look forward to hopefully showcasing your work in this special exhibition. Application Form: Please email the gallery for an application form. Artistic Vision, New Perspectives, Atmosphere, Aerial, Forms of Flight, Aviation, Migration, Form and Pattern, Aeronautics, Flightof the imagination, Environment, Movement, Harnessing energy, Climate. Summary: An open exhibition Earth Flight aims to celebrate the Artist’s ability to see things from a unique perspective and capture the extraordinary in the everyday. We encourage Artists to explore this interesting and inspiring topic in a broad range of styles and mediums. Mediums: Open to all mediums: paintings, sculpture, original prints, textiles, drawing, photography, etc. Description: This exhibition will run for 6 weeks. Artists can submit single or series of work, submission fees are gauged on the spaced used rather than number of works submitted. The gallery will be responsible for hanging all artwork. Payments can be made by BACS transfer please contact the gallery for details. 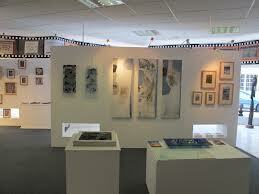 or alternatively you can pay in person at the gallery by cash or card. The gallery takes 35% commission on all artwork sold. 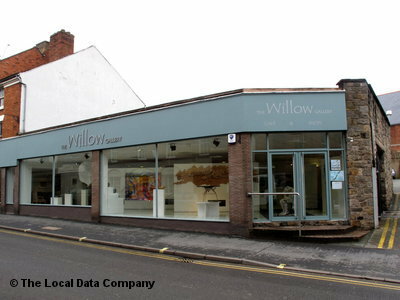 Please include this commission within the given selling price on the application form.The Willow Gallery is a community interest, not-for-profit, gallery therefore commission on sales and exhibition entry fee’s go to supporting the up-keep of the gallery. Please send example (JPEG) images of work with the title or post images of your artwork. A list of the works you wish to exhibit and the dimensions on the attached form. Submission fee is required to be paid with the entry form. Please indicate any special requests or enquires about hanging unusual work. All framed/canvas work must be mirror plated in the middle of the frame AND strung 1/3rd down the frame using D rings and picture cord. All artwork including sculpture must be clearly labeled on the back. All framed/canvas works must have a luggage style label hanging down from the back of the artwork giving artwork details as described above. This label must be clearly visible when the work is on the wall. The top of the work should also be clearly marked. This is essential for accurate labeling and hanging of artwork. Artist Statement – All work needs an artist statement included, this should be no larger than an A5 portrait page at font size 14, Garamond style. A statement could elaborate upon your working practices, mediums used, inspirations, or a literacy piece which accompanies your work and an image of you working, if you wish.